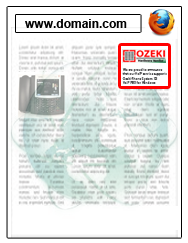 Hardware vendors may display the Ozeki Hardware Vendor Logo on their website free of charge to attract more customers. Instructions are provided on the right hand side of this page for webmasters. 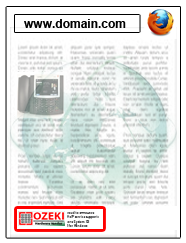 Download the Ozeki VoIP hardware vendor logo by clicking on the following link and save it into the www root folder on your webserver. Add this HTML code to the source code of your web page. Select a visible location for the logo on your webpage.